the jalebis were large with so many swirls in them, they were orange and hot and sticky. even though the tears blurred her vision, khushi was determined to count the number of spirals on the one right on top. a whole heap of jalebis sat before her. she could feel their sweet succulence, their crumbly crust she knew would crack under the most gentle pressure from her teeth and out would flow, no pop, the delicious… khushi swallowed… warm, perfectly blended syrup. babu ji had taught her, the sugar had to melt and dissolve thoroughly and you had to simmer the syrup till the consistency came to that point when two threads, not just one, would form as she pulled her forefinger and thumb away from each other, a drop of warm syrup between them. she knew now at which stage the syrup would have thickened enough but she always tested to make sure… how it resisted the separation of the finger and thumb, trying to hold on, not let them go asunder, forming little strings, like it would tied them up together and hold them like that forever. her tears shimmered, the jalebis were an orange cloud. she licked her parched lips and leaned forward trying to reach them. the one nearest to her, by the corner. she craned her neck and almost fell forward trying to get to it. this was silly, why wasn’t she using her hands to get one? she went to move her arm, but she couldn’t. her hands were tied behind her back. her legs were tied too. two threads. no no, two ropes… khushi wriggled. the white kabooter cocked its head and looked at her intently. khushi hissed at it, don’t think i am helpless, she thought loudly in her head hoping the bird could hear her. she was going to get out of all those shackles and escape… she would get to her jalebi. she heard the long wail of the siren or what was it? before she could figure it out, the jalebis began to move… it was a train, khushi realised, and it was pulling away from platform number thirty one of new delhi railway station, with her jalebis… going to lucknow. desperate now, she pulled hard at the ropes trying to break free, but they held on. “hey devi maiyya,” she muttered under her breath and began running, the ropes trailing behind, not letting go. khushi looked at them as they went around her body now… they were brown and strong and they were actually arms. the arms tightened. a blast of air, heated, scorched her right cheek. it was the porter… he was wearing the red uniform. and he was smiling nastily, trying hold her… not let her escape. and why was the porter’s face just like arnav ji’s? khushi screamed and lunged forward and banged into a very hard object. “yes, ma.. i..” akash said foggily, the music was loud, he could barely hear his mother, yet his ear had picked the umbrage in her tone. he held payal’s hand more firmly. payal looked up at him, frowning, wondering why akash was suddenly drawing away from her even while gripping her hand so tightly. they had been sitting together on a sofa in a corner of the darkened room, furniture had been pushed back and nearer the walls to make room for a dance floor in the centre, the floor was crowded; lavanya had invited almost all of delhi, akash had quipped earlier with a little smile. “is there anyone in the city you don’t know?” he had teased lavanya. payal smiled remembering that. she grasped his hand and laid her head on his shoulder. “habh a bhery goods entriyaa into the new years, my bitwa, your pita ji and your ones and onlys mothers bhill miss yous… but bhe sall bhatching teebhee, hello hi new years bye bye old parentswa!” manorama laughed, a brittle shattered note in her laughter. the hurt was out. akash realised his father had disconnected. payal was now sitting a little away gazing at him clearly perplexed. “akash… really, maybe we should go home… it’s almost ten o’clock… and khushi is alone too, nani ji had said to send her back with mohan ji but, i know her, she loves new year and she’s so sad now… where is she?…” there was a little tremor in payal’s voice. “and you, akash? will you be fine? 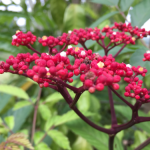 sasu ma…” payal murmured. the clamour of heart beats was deafening, khushi stared up into furious brown eyes. “what the hell are you doing, khushi?” asr rasped out. khushi felt the wool of his waistcoat under her finger tips. arnav ji’s arms were around her, his fingers were digging into her waist on either side. what was he doing in a suit? where was the train? her mind was still woolly, where had the pigeon gone? a gnawing emptiness nagged at her suddenly. “ja-lebi?” she said looking lost. “hmmm? !” khushi mumbled, her hand went to her forehead. she swayed slightly. “khushi?” asr peered at her frowning. what was the matter with the girl? “khushi…” without his knowing his voice had dropped, grown gentle… his eyes were filling with concern. “shh!.. shh… don’t talk… have you eaten anything yet?” he whispered looking into hazel eyes, trying to read an answer in the darkness of the alcove. the music was loud, the hum of conversation, laughter and a particularly loud guffaw from time to time filled the air. khushi let her arms slide around him and started to let go. “sh**!” an expletive shot past her ear. his hands stroked her back, then he was walking her toward the couch where she must have been sitting. he made her sit down, then lie back, lifting her legs onto the plush cushion. “stay here, okay!” he said quietly. a lock of hair fell across her forehead, he felt a funny tug inside, he lifted his hand and let his fingers run lightly over her forehead, brushing the lock away. he looked at her lying there for an instant before turning and striding swiftly out. “asr! asr! where are you going? didn’t you find khushi?” lavanya called out as she spotted him briskly walking through the the crowded room toward the entrance to her apartment. “i found her, lavanya… don’t worry… won’t mind a sandwich though… think i need to eat something. i’ll be right back,” he said and and left before la could say anything. he came back in soon and went toward the kitchen. “here, asr! ye lo! cheese sandwich… get you a drink?” lavanya stopped him on the way. “i’m fine, lavanya… and thanks!” he gave her a tight smile and strolled off toward the alcove. jean pierre smiled wryly and sipped his beer, and wondered if la was beginning to get over ahhnav. “open your eyes, khushi!” asr sat on the couch bent over her. khushi frowned a little. what was that? “ankhe kholo, i said!” he sounded stern. what was that nudging at her lips though? it felt sticky. the tip of a tongue came out cautiously and touched the sticky thing. next moment, a pair of eyes opened wide and a girl lying prone was sitting up very fast, arms and legs flailing, red pompoms swaying wildly. khushi realised arnav ji was sitting holding the jalebi to her lips… he had been trying to feed her. her toes curled at the thought and a warmth spread along her upped arms, she thought she might stop breathing. she opened her mouth and let her teeth touch the crisp surface, it cracked and broke even before she had really bitten into it… sweet delicious syrup poured onto her lips… khushi sighed, her eyes closing. “when did you last eat?” asr asked watching her closely. khushi remembered the pooris lying in front of her heaped and hot that afternoon, she remembered she had left home without having breakfast… her mind wandered over the day… what had she eaten… when? “uh… urghfd!” she gurgled and took another large bite of jalebi, munching quickly… she could feel the sweetness perk her up, she wanted to eat more… and she liked the way he held the jalebi near her lips and made her bite every time her mouth was empty. she licked her lips and took another bite. “so you haven’t eaten anything today!” he said in a matter of fact tone. “okay, no problem, now finish these,” he picked up a box of jalebis that was lying on a table behind her and placed it on her lap. khushi strained and pressed close to his body, her arms went up and around his neck, an exultant streak of joy shot through her… arnav ji was with her, right here. he was not angry… he was not upset…. he had fed her jalebi. was he going mad? khushi smiled and frowned at the same time. then she was giggling, thinking of how weird she must have looked doing that. he started kissing her just about then. his lips were hard and demanding and as she moaned arching against him, they grew soft, searching, playful, she closed her eyes and kissed him back… she let her tongue trace the contour of his lips… she bit lightly the slight cleft on his chin… his stubble grazed her lips, the tip of her nose, she turned her face from side to side, enjoying that prickly sensation. “arnav ji! stop lying!” khushi nipped his ear lobe sharply. he lay there smiling up at her, brown eyes glinting, even in the darkness she could feel their brownness. and then he was kissing her again. khushi remembered arms refusing to let her go, brown strong arms. she leapt up once more. before he could react, she jumped over him, got the sandwich lying on a plate on the table and thrust it against his lips. “now you’ll eat and i’ll talk!” she said sticking her chin out. “really?” a smile completely crooked came on in a flash. khushi almost dropped the sandwich and clutched her heart. “that’s unusual… you do both… usually!” he said, a dark arched eyebrow went up emphasising the “usually.” then he held her hand and took a bite of the sandwich. he saw her smile slightly… when khushi hadn’t answered her phone, he’d called mohan, he didn’t want to worry nani or di… bua ji was looking frazzled already. mohan had told him khushi had gone to the farmhouse but she was at lavanya’s at the moment. he’d been driving past bengali market on his way to lavanya’s when something had made him stop and pick up a box of jalebis for khushi. box of jalebis. where was it, he wondered, and reached out, searching. the box lay open on one side, its contents had spilled out onto the sofa… he moved his hand and found his shirt front was sticky, little bits of crushed jalebi were stuck here and there. a memory came… a beginning. that first day he’d met her at sheesh mahal. his black silk shirt had been ruined but all he recalled now was hazel. hazel eyes… large, tearful, clear and limpid. his hand roamed over the front of her purple kurta, it was sticky too. asr took another bite, he remembered how he hadn’t been able to forget this girl ever after that. when he’d reached lavanya’s apartment, he’d gone through the throng of people looking for her, salman had seen him and said, khushi was at the back in the alcove. he’d hurried there and as he’d walked in khushi had come running with eyes closed and banged straight into him. she was looking at him rapt as she fed him. his eyes took in her finely drawn eyebrows, her twinkling hazel irises, her sharp, straight and long nose, the tender curve of her cheeks, the undulating lines of her lips, the arc of her ear lobe. he breathed in deeply. was happiness really possible in this uncaring harsh world, he thought. last day of the year. tomorrow would have been maa’s birthday. his lips tightened. he let his eyes rest on khushi’s hands, her fingers were long and graceful, he noticed how delicately they moved, her nails were never long, just covering the tips of her fingers and filed to a neat oval. the surface of her nails shone. “sorry, khushi,” he said in a quiet voice, looking straight into her eyes. “i shouldn’t have shouted…” he caught hold of her hand and kissed the finger tips. khushi felt a rush of tears at the back of her throat, she hoped arnav ji was all right. that he wouldn’t feel too terrible the next day. the dance floor was really crowded now, it was past eleven and people who were party hopping were coming in, ready to bring in the new year soon. almost all the lights were off. dancers swayed and jostled, once in a way someone screamed or laughed loudly. “ne me quitte pas…” don’t leave me… don’t quit on me.. sting’s voice rose and fell and caressed the senses. a drugged languor came over khushi as words she couldn’t understand at all fell all around and went over her and two beautiful arms held her, pulling her closer and closer still. asr took her right hand, pulled it up and put it on the side of his neck, his skin felt taut and cool, she let her fingers slide further up and played with the springy hair at the back of his head. her other arm slid up his chest and her hand rested on his shoulder. they moved against each other, slowly, swaying to the music. even her heart beat seemed to have slowed and merged with the heart beat of the chest pressed against hers. his hands went down to her hips, drifted lower and drew her closer once more. without quite realising how, the lines of their body adjusted and aligned even as they danced, soon their cheeks were pressed together against one another’s, and their arms, their bellies, their thighs… and they moved in unison… just the two of them, there was no one else really in that room… in the world… on this last evening of the year. ne me quitte pas… je t’inventerai… des mots insensés… que tu comprendras… don’t leave me… i will invent for you… senseless words… which you will understand. were becoming part of not cut out for love. i so enjoy writing this story. hope to be back wednesday/thursday with chapter 4. see you soon. Sigh of satisfaction… they are back together where they belong… and you do that belong together so well Indi. That surreal dream… well dreams are surreal but what a perfect amalgamation of desires and fears and confusion and kabootar. And may I say when they hugged on the couch I wondered what happened to the box of Jalebis and whether it ended as it had started. Perfect loop. So wonderfully written again Indi. This one was a long time coming but I can see why… you completely bypassed the searching for each other ( thank you )… loved how you came straight to the reunion.. She is in pain… she needs him… he is there. And now maybe she will be able to help him with his pain. Pure perfection! I have to make honorable mention of Akash… Poor guy… poor, poor guy. Caught between over dramatic mom and the true love of his life… I wonder if all mothers of sons take training to dole out this particular brand of emotional blackmailing. I should be careful of my words… I am the mother of a son… Laughing. Fantastic chapter. Hit the spot… missed nothing… satisfied completely… yep sigh of satisfaction indeed! ah the box of jalebis. confession. i hate closing loops… artificially crafting perfect moments. yeah i know i know… but. so, when the jalebi started plaguing me, i said okay, that would be a good way to start with khushi in that alcove. but no. it then said asr had picked it up and there was this scene of him feeding jalebi to her floating before my eyes, making me feel the pressure of that orange sweet syrupy thing on my lips. i couldn’t see how this would work, i said, no, too much feeding, though i knew neither had eaten the whole day… but you know this cutesie thingy… anathema. so i said, okay we’ll see. of course, i could then see him driving by bengali market, something making him stop… i am always after that elusive “something” in their story… and i am always glad i don’t know it too well, not well enough to say “i know, i have the words, i have what’s gonna come” and that’s what makes me want to go further into it… get a hang of it, touch it… fly with it… write. anyway, the box came and the two got into the canoodle and did their thing. i asked myself so why did i put the box on her lap and what happened to it once she jumped up… and as i went ahead, i just had to know. along came sticky clothes… a memory. though yes, right in the beginning, she did bang into a hard object as she had done before… that came again on its own while i pondered that moment of “discovery” by asr of kkgsr on a day of strange and hurting emotions… when you can’t come near and you can’t go far and you never are really out of each other’s head. i have to say i love reading your comments, not only because you speak of the things you like, but because of your poised, fluid language. i know you must have heard this before… that you really should write. maybe you will. maybe you already do? i would love to read if that is the case. mami ji. okay, i gave her some airtimewa because she is my jaaneman, my doppelganger even maybe hyuk. but no, she is a creature of a higher order. there is a tart zesty struggle in her, a mixed up mayhem is she, so unafraid and yet so afraid, a campy cartoon and yet you know she is more real than many, she exists, perhaps in all of us… strains of her. and oh her horrid jewellery and all that it says… i have to love her, bring her in for no reason, as i did today. i mean how can akas bitwa have a good time with the new woman in his life while she manorama gets deprived of bitwa’s company on new year’s eve (important occasion for the rich and bootiphool and jetsetwa you know)… okay, she has thought of anjali, mother in law, her raju ji… but now she must think of herself, that’s it. i am the mother of a daughter. trust me i will be entirely mami when she decides anyone else is more imp to her than me. i mean it teehee. thank you so much. my sigh of satisfaction, i am sure you can sense, came from that comment. it’s scary to write fiction… thank you so much. yours was the first comment i read. i think the chapter has gone okay now. it takes me a while to get my thoughts in place, the inspiration, the imagination, all of that must be there… otherwise i just can’t seem to tell a story… sorry for making readers wait… will try to get into it by midweek. see you. aww, how can we relate with Jalaibis, samosas, all this Food generas which we usually eat without much of anticipation and now these things ,first want our attention and then that attention becomes a smile over our face. Lovely talk of hallucinating Khsuhi and caring Arnav over the couch..
you hit the nail, faiqa. can’t think of jalebi with a straight face any more… nor black coffee which i don’t even like. hayee, what have these guys done to us. 🙂 🙂 haw, you said exactly that… see? see? great to see you and thanks. Khushi n her obsession with jilebi is hilarious. Love this ss. thank you. obsession it is… maybe there is knowledge in nature after all and dm knew exactly how bitter karela a man she’d fall for, so gave her this perfect weapon, call it defence, call it ajeeb. 🙂 so happy you’re reading. A jilabe fest for our very own jelabi queen ,loved the flashback of their first encounter and the memory it brings forth very well done loved it ,I love their own unique chemistry that they create when they are together ,they are in their own world ,and they complete each other so well . 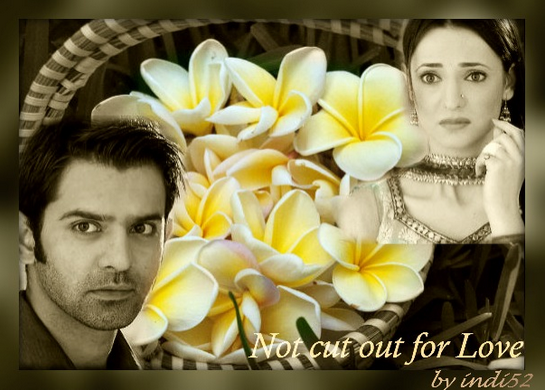 thanks so much for reading and i am delighted you had fun with asr and khushi and their ajeeb chemistry. yea, they seem to essential parts of each other. Just loved the chapter. Khushi Crazy as usual and Arnav , so much in love !! Your writing is amazing. thank you, rati… i feel touched when you say that about the writing. thank you for that. Khushi, the jalebi bai is a complete nut-case. her imagination or hallucination whatever it was was damn hilarious. Her crazy antics make arnav even crazier for her and also healer of his pain. It was beautiful how Khushi can abate his pain and pacify his turbulent mind. The dance, the kiss and the romance and apparently the new year celebration was beautiful and perfect. our nut-case hehehheh. she hadn’t eaten the whole day.. she was in a funny woozy dream. yes, just by being who she is, she seems to touch and soothe that essential sorrow in him. glad you liked the dance, what i’d give to watch asr and khushi do a classic “slow dance” in that seventies sort of way, a man and a woman in a crowded room, lights dimmed, swaying in a world of their own. yes, i hope she and her love soothe essential sorrow. and he too can help her feel secure and together. love, funny beautiful thing, na? thank you… 🙂 khushi is the original sanka devi… laad gov just loves her so. see you soon. thank you… i so like what you say. jalebi intrigues the h out of me.glad you enjoyed. poor asr, he really wanted to yell in frustration, but when sanka devi gets going the man just falls apart i guess. thanks so much for saying what you do about my writing. see you soon. Hehe! A hallucinating Khushi ! And then she gets her heart’s desire in a boxful of jalebis. That was fun. Indi, ‘ne me quitte pas’ is originally sung by Edith Piaf. Do listen to the original version. Its very good. khushi lets me escape to mad heavens and lunacy planets and then asr takes me on a crazy ride to catch her and get her to stay lunatic. thanks for reading. you like the song? i have heard edith piaf’s version… beautiful. i thought jaques brel sang the original.. actually, his is my fave, but that’s from so far back and i thought sting was more la… i do like sting’s version too. of course, the english one is the only one i’d heard till recently. In di you must have done some research on dreams otherwise how did it come across so perfectly! Its so difficult to put a dream in words and you did that so effortlessly! Khushi’s dream contained the very core of their relationship, its pains and travails, its hope and love, the thin line between longing to be each other and holding on to one’s individuality, getting mad and saying sorry, the beady eyed quick tempered khadoos kabootar and the sweet bright jalebis with their meaningful swirls and syruppy strings gluing them together for hamesha! The reference to platform 31, was there something there? Ajeeb your Arnav Khushi are and my heart goes out to them. The other characters added to the atmosphere. Mamiji, Aakash, Payal, Lavanya, Buaji, Jon piyeji! Well etched in their niche. 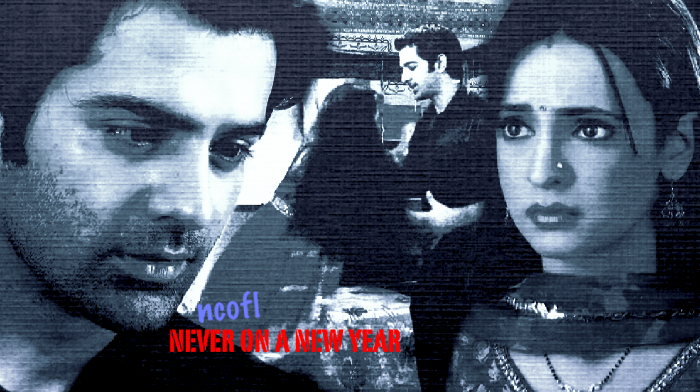 The new year dance in tandem or were the stars aligned…he was at peace with her and so was maa…. Brilliant piece of writing In di! Loved reading it! thanks, wiwy…. love that comment of yours. yeah, lots of practice and research on dreams teehee. sometimes the khadoos visits me too, but don’t tell khushi she’ll banish me from all jalebis forever. you know how dreams are… they just come… they scale all barriers and borders of rational examination and take you from delhi to lucknow in a second, down some steps. you know i have never been to lucknow, but my mother lived there for a while with her parents, so in stories i’d here of “lockno” and now that i think of it i have dreamt many times of going there, just like that, usually by just rolling down a couple of steps… maybe that’s exactly what happened when i saw khushi and asr one day. dreams come true you think? 🙂 🙂 🙂 thanks, sir,i am so glad you enjoyed. platform 31 i think because it is the 31st of december and that number is playing on her mind. and those jalebis, they were always more than what they were, weren’t they. see ya. i so want to update this weekend. Read all chapters at once.. I just come back from my home town.. already feeling low.. so I have to read many times to get over with it. Your writing always made me relax and happy.. So good to see you back!! An angry ASR and hungry Khushi, what a combination!! Only you can think of that! so happy to see you. and can’t tell you how touched i was by that comment you’ve made. leaving home, one of the toughest things and never gets easier… i first left home when i was nine and went to boarding school, even now it brings funny feelings of separation… if i managed to make you smile when you’re down, it’s the most wonderful feeling, i am grateful… it’s like an award or something for me as someone who writes. see you soon with some more asr khushi ajeebness. So it is at La’s party that they meet and meet how!! There was an intense longing, a deep ingrained passion, a figment of concern and a shadow of painful past. They have always known that only they are capable of soothing the other and that is probably why they never shy away from seeking the other’s warmth, no matter where they are. Khushi’s little daydream about jalebis was so real that for a moment I had a feeling that if I were to dip my forefinger and thumb into the liquid, I would actually be able to see the 2 lines getting formed. Her jalebi dreams have always been adorable but this one is going to be the best. Seeing Arnav-khushi dance the night away in each others arms definitely indicates that although the first day of the new year is not going to be pleasant, it will be boldly faced and taken care off. The image of them together and so much in love suddenly alleviates all the troubles. Indi, while reading ncofl once again, I realised there is so much you have introduced us to through this story- the innocent passion, the glint in the red eyed kabootar’s eyes, the non-aging love in Bediji’s demeanour and a little vileness in Billo Mausi’s no-so-honest ways. I look forward to the little niece that Arnav already thinks has his di’s big eyes and her bossy ways. I wonder if he thinks his niece will be as sanki as her maami. thank you so much, shruti. your comment is beautiful and makes me feel so happy. did you say that was kkg’s best jalebi dream? awww and nooo and yes yes yes (okay if gautam hegde happens to read this, hope he won’t set a serial chudail after me). so glad. i love her jalebi connection, don’t quite get it, which is why must look at it again and again. thank you for noticing the things i add, i just hope they are good for the story and they feel right here, add something. billo mausi and bedi ji, and the rest, they keep me alert, looking… story writing is not at all what i thought it might be. i learn all the time. and all your comments teach me so much. thanks. 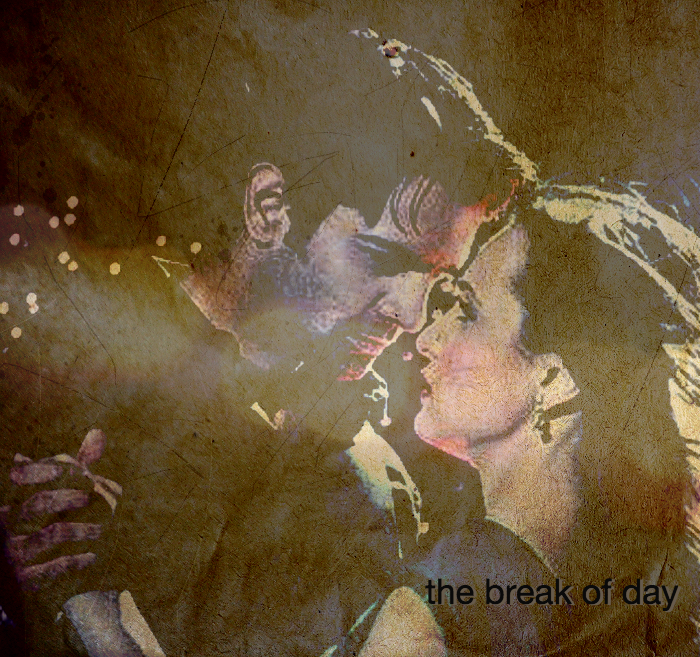 i hope to get a chapter done today… late night it should be up. about that niece of his. i hope she is the sankiest of all. will keep him on his toes, while he dances away with the original sanka devi. thank you so much, eroni… glad you liked. next chapter coming later today. see you. Your stories are to me ,like jalebis to Khushi. Just like the labyrinth of swirls in jalebi, my admiration and love to you is blended and woven together,without end and beginning. And I know it is not that easy to satisfy readers and you, you are par excellence. “Your stories are to me ,like jalebis to Khushi. anna, that’s such a lovely line and i am dancing with joy at that comment. “admiration and love” thank you… i hope i am worth it. writing is for me almost a compulsion, i rarely know if i have made the cut or not but to find readers who come back and let you take a bit of their time, a rare precious feeling. thank you so much. thank you, linsie… great to see you. see you soon. thanks…. great to see you’re having fun.